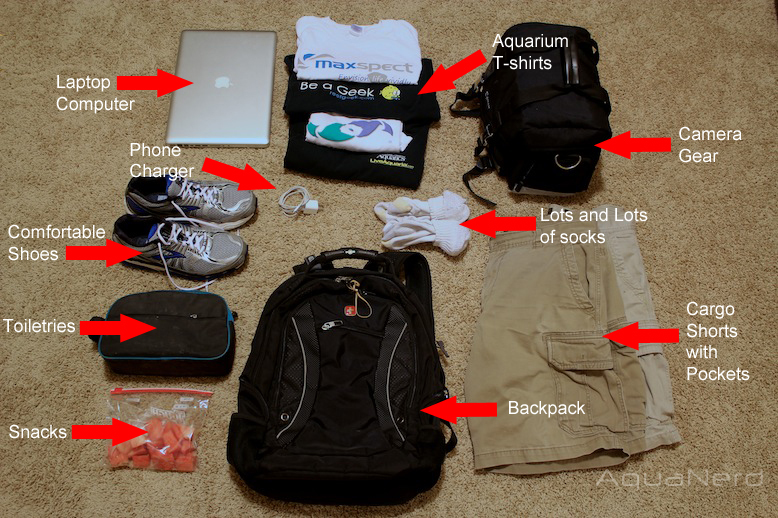 With all of the aquarium industry focusing on MACNA this weekend, and thousands of hobbyists traveling to Florida for the show, we decided to throw together a list of ten essential items that any aquarist must pack for the trip. Each of the items was carefully considered, and all of them have come in handy on more than one occasion. Of course, this isn’t a definitive list, as many trade show venturing hobbyists have different needs. Here is our list, starting in the top left and moving counter-clockwise. 1. Laptop computer: This is a no brainer. 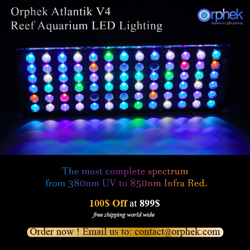 Any aquarium keeper knows that a laptop computer (alternatively a smart phone or tablet) is essential to keeping tabs on the outside world. If you want to know where the MACNA after parties are, or what company is giving away some killer gear or livestock, then a device with internet access is a must. Just make sure to hit up the AquaNerd Blog periodically throughout the show for the latest news. 2. Phone charger: Your laptop may not always have internet access throughout your travels. You may be in an area with a poor or non-existent WiFi signal. Obviously your mobile devices need some juice, but the phone charger (or laptop/tablet charger) always seems to go missing at the most inconvenient of times. There’s nothing worse than trying to keep up with after-MACNA events and having a phone die, so be prepared. 3. Comfortable shoes: If you plan on doing any vendor hall meandering, then a good pair of comfortable shoes is a must. Three straight days of being on your feet can really take its toll on you. There have been countless times that I’ve waken up sore from a long day at an aquarium event. You don’t have to have a fancy, expensive pair of shoes or anything, but just make sure you have something that’s comfortable and you can stand in all day. 4. Toiletries: Nobody likes a stinky aquarist wandering around, and chances are that all of your time spent at the show will take its toll on your hygiene. Your spouse hates it, you feel gross all day, and the aquarium legends you idolize surely won’t appreciate it. So, make sure you clean up a little from time to time. The water at the hotel is free, and the shower almost always has hot water. Just don’t forget the deodorant. 5. Snacks: This item on our list of must-haves may seem a little out of place, but I’ve regretted going without something to snack on more than once. When your in the MACNA halls and listening to guest speakers, it’s very easy to get caught up in the hoopla and totally forget about eating. Not to mention, grabbing a quick bite to eat may be difficult if there are no snack bars nearby. So, be prepared and pack a snack. 6. Backpack: Sure, vendors and show organizers will have plenty of plastic bags on hand, but those can hurt your hands after loading them up with brochures and aquarium freebies. Instead, grab a backpack. You can put your snacks, camera gear, computer, and whatever else you bring inside the backpack and keep them on you all day long. Of course, wearing a backpack all day can cause some strain on your back, so don’t over stuff it. 7. Cargo Shorts with Pockets: If you’re not the backpack wearing kind, but still want to keep your hands free during aquarium events, pack you a couple of pairs of cargo shorts. There is a limit as to how much you can carry before you start looking silly, but the pockets do come in handy when grabbing up freebies at aquarium shows. 8. Socks: Because you’ll be on your feet non-stop for the duration of the show, chances are you’ll soak a pair of socks in no time. To keep your feet dry, and somewhat fresh, toss on a clean pair of socks and then get back to the trade show floor. Heck, you could even toss an extra pair into your backpack or cargo shorts pockets so you can swap out socks without ever having to go back to the hotel room. 9. Camera Gear: Here’s another no brainer. Camera gear is essential to capturing all of your favorite MACNA moments, and I’m probably one of the biggest photo snapper at the show. I think we have almost 2000 images from last year’s event. You don’t have to have a fancy DLSR, especially with cell phones sporting great quality cameras. But do make sure you have some sort of camera gear with you. 10. 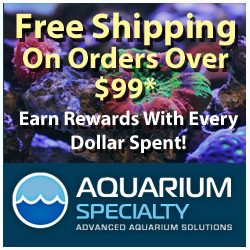 Aquarium T-Shirts: There is no better way to show your brand loyalty than to sport a t-shirt with your favorite company’s logo on it. Plus, it helps us true aquarium nerds better recognize each other when we’re painting the town red. The only caveat to this item is that there will be a ton of free shirts available at the show, though in limited quantity. If you hit up the vendor hall early, you may not have to worry about shirts for the rest of your trip, or the next few weeks for that matter. That concludes our Top Ten Things Every Traveling Aquarium Nerd Should Pack. If you have any items to add to the list, feel free to rattle them off in our comments section below.